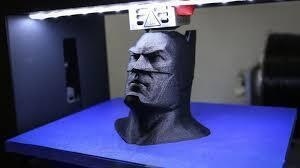 This workshop will teach you the basics of 3D scanning: what a 3D scanner is, how it works, and what you can do with a 3D scanned model. This is an introductory workshop that will provide an overview of 3D scanning. You will get to see the 3D scanners in action and learn about Joyner Library's 3D scanning program and how you can make use of the library's 3D scanners. ***While no prior experience is necessary, registrants should be comfortable experimenting with a sometimes quirky software.